Can u please add more trains in next update ? Will electric locomotive be added? whether all resource packs can be installed? I went through several pages of issues and these are things I didn't find there, sorry if I missed finding any. * please please update machine textures, black box machines look worse than than the materials used to make the machines. * please make machines interact with IE conveyor belts ( eg. conv extract working on casting), as it breaks IE theme to install high tech mods to auto click and pickup items. * Casting basin recipe wrong in manual (missing steel block). I activate the change of way but it passes by. What could it be? When placing track in the pixel/pixels locked/smooth/smooth locked positions, the FPS drops significantly. In the version previous to 1.5 this was not a problem. I'm running on 1.12.2 with the latest forge, Immersive Engineering, Pam's Harvestcraft, Track API, OpenComputers, and Optifine and I'm not sure what the exact problem is, maybe it's a bug with 1.5 or maybe I messed something on my side. Does anyone know how to connect wagons and train properly? I tried with a coupler but when I moved the train forward, it does go forward a little bit but it teleport back to where it started. place down train and vagon (BEHIND TRAIN) and it will automatickly connect. If now. Go into train and set go with train backwards. Then it will hit vagon and will automatickly connect. Install the mod "Track API"
Hey. 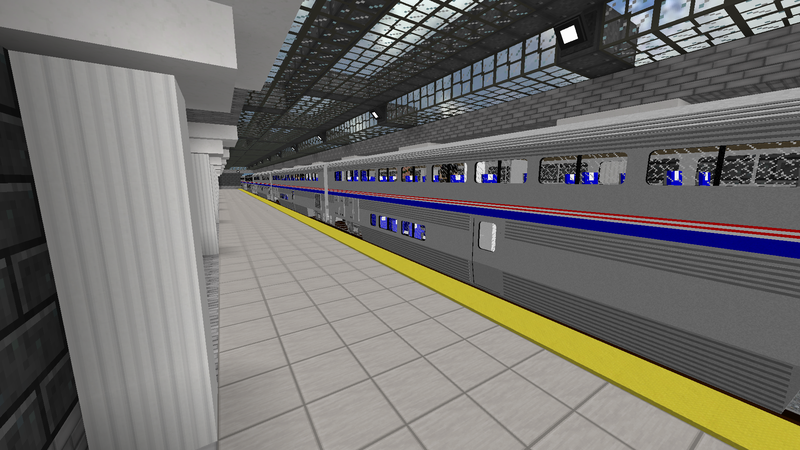 Great mod, but i want like a config that adjusts how much gravity will affect the train acceleration and deceleration. I did a test with a hand car to see how much it accelerates down a 11 block high hill. I got approximately 120 km/h. I compared this to the theoretical maximum speed with a formula like this: 11 = 9.81t^2/2 (9.81 = g). The solution to t is about 1.5 seconds. Multiplying t with g gives the maximum theoretical speed of about 14.7 m/s, or about 50 km/h. 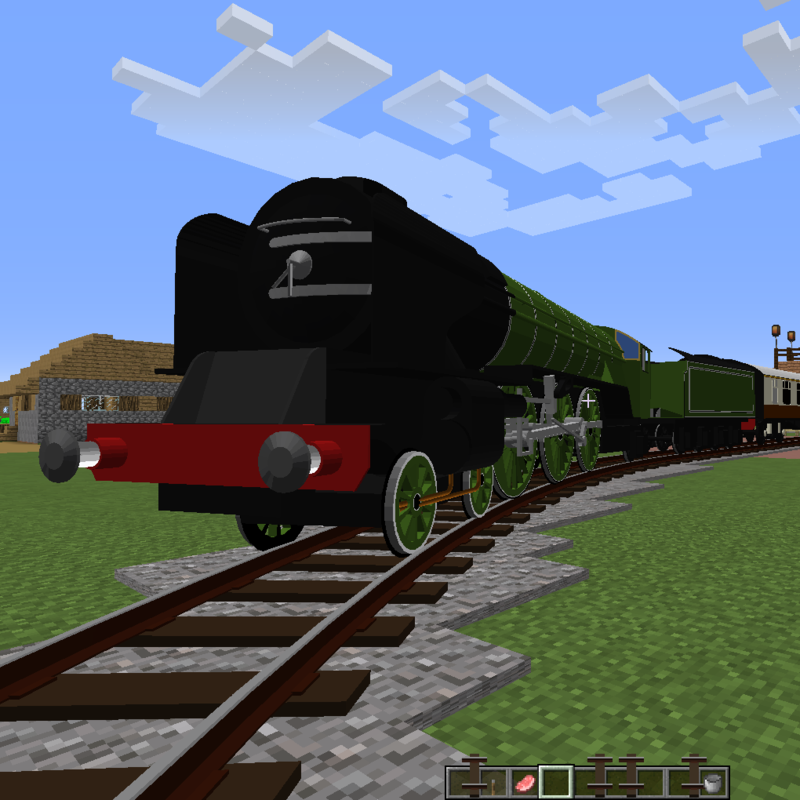 It's not realistic for something in minecraft to go 2.4x faster than real life, and that's not even considering the friction from the rails. I agree with this assessment. Gravity and/or friction seems very wonky. Hard to traverse even minor grades. Great mod all things considered! WHEN THE BUFFER STOPS will be added?! When I have a number of the resource packs loaded, I can't see all the items available in the Casting Basin (the list appears to extend beyond the screen). Is there a way to scroll the list down or do I have to either disable resource packs or change screen resolution to see them. Obviously, neither of these are ideal solutions.